It shouldn't surprise anyone that I am a fan of libraries. I think anyone who writes, who loves the written word, is also someone who feels at home in stacks of books, and who can often be found in a library in whatever place they happen to be. I always gravitate to libraries, even on my recent visit to the Alberta Legislature, where I found myself standing in awe in the magnificent library there, and envious of those who get to visit it often. Libraries, however, are not just books. Perhaps in times long gone libraries were simply places that housed books for borrowing, but the modern library is so much more. The modern library is the home of ideas, and innovation. The modern library is the place of possibilities. The modern library has joined the digital world, but it has done even more - it has become a fundamental part of community development by providing programming essential to the community. And I am proud to say that yesterday I attended a press conference where the Fort McMurray Public Library, already a stellar fixture in our community, cemented their place in the development of this community. How? They announced a speaker series that I think might just revolutionize this region. The Northern Insights Speaker Series is designed to bring exciting (and renowned) speakers and writers to this region. It is designed to present local residents with the chance to hear new ideas or thoughts. It is designed to excite, and engage. It is, quite frankly, one of the most exciting recent developments in this community, and one I support whole heartedly, because in this region of idea and innovation and change and excitement it is simply a natural fit. The first two speakers announced are, in a word, astonishing. On January 30th Canadian author and writer (and in my mind, genius) Malcolm Gladwell will bring his thoughts to us. To say I am enthusiastic about this is a complete understatement as I am a huge fan of Gladwell's work. I suggested to a few at the press conference yesterday that if he goes missing while here in Fort McMurray that they not worry, as I've just stolen him for about 24 hours in order to pick his brain, but that I will bring him back. 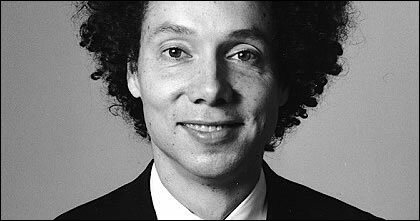 I'm kidding, of course (well, mostly, I DO want to pick his brain and ask about three zillion questions), but the point is that Gladwell is an incredible speaker to bring here because his thoughts and writing are very relevant to this community at this point in time. I have read every book he has published, some more than once, and the thoughts and ideas contained in them have always gotten my mind into gear. To hear him speak, right here in this community, is a gift I can scarcely believe. And then, in May, another speaker comes to visit us. Even the Intrepid Junior Blogger was excited about this one, as while she didn't recognize Gladwell's name she knew this one: Bill Cosby. Yes, Bill Cosby, of television fame. 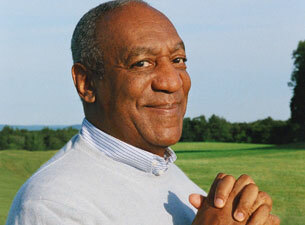 Bill Cosby, who is, as the Junior Blogger says, "really, really famous", is coming here to speak. Known for acting, writing, and humour, I cannot even quite fathom the chance to see him live right here in Fort McMurray. A very different sort of speaker from Gladwell to be certain, but that's exactly the point. This series is meant to introduce new ideas and thoughts, not ones that are all the same. That's part of the beauty of it. But the other part, the truly beautiful part, is that it is happening right here. My enthusiasm for this is two-fold. One, this is an unprecedented opportunity for people in this community to access speakers and writers of international renown. It is one thing to read their books and/or see them on TV, but to hear them live is entirely different. To see passion and vision in person is always more engaging, and more likely to provoke thought, and for this I cannot wait. But there is another reason, too. I cannot wait for Gladwell and Cosby to see us, to learn about Fort McMurray, because every person who comes here becomes an ambassador for us - and these are two ambassadors with international clout, too. I hope (and in my heart know) that they will come here and find us different than they expected, and far more interesting. I suspect they will go away talking about how incredible we are, and about their time here, learning about us. This isn't just us learning from them, people - this is a chance for them to learn from us, too, and I think this little exchange can only benefit both parties, and perhaps far beyond. I am excited this series will be held at MacDonald Island Park, as I believe it should happen in the heart of our community, where Gladwell and Cosby can see who we really are, from hockey moms and dads to figure skaters to swimmers to art gallery attendees to library patrons. I believe Mac Island represents our community well, and I think it is the perfect place for this, and not just because it also houses the Public Library. Tickets to see Gladwell go on sale on December 5th, and are priced at a very reasonable $49. The library is also giving the public the chance to win free tickets to see Gladwell, simply by visiting the library or their website between November 30th and December 10th. I know I will be buying my tickets as soon as they are available, and I will be anxiously awaiting the chance to see him speak (and I will try to not steal him, but if he goes missing while here all I can say is that I clearly had nothing to do with it and that I am sure whomever "borrowed" him will return him). I was so pleased to be at this press conference yesterday, people. I am so proud of the Fort McMurray Public Library, because this is a bold initiative on their part, and yet it is so reflective of who we are in this community. We do bold and innovative things, we say "we can" instead of "we can't", and we reach for the stars - stars like Malcolm Gladwell and Bill Cosby, stars that many from outside this community would happily tell us are out of reach, and yet here they will be in 2013. Nothing is beyond our reach, no stars or ideas or innovations. We can do anything in this place of big spirit, big ideas, and big belief. And yesterday, at a little press conference announcing a speaker series called Northern Insights, I saw this once again, as this little community took another leap onto the world stage. now the Northern Insights Speaker Series.